In the state, under the rule of the Left Party, a health center was constructed in the Panchkalgudi area of ​​Siliguri, but instead a community hall was being constructed by the North Bengal Development Department at that place. For this reason, the Convener of the Siliguri Mahakama Council, Tapas Sarkar has written a letter to North Bengal Development Minister Rabindranath Ghosh. It is known that on Dec 12, 2018, the foundation stone was laid for the construction of the Community Hall at the cost of Rs 1.5 crore instead of the health center on behalf of the North Bengal Development Department. 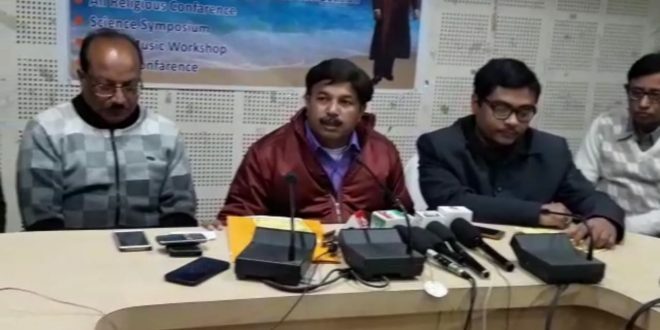 After the matter came to light, the Convenor of the Siliguri Mahakma Council, Tapas Sarkar handed over the letter to the Department Minister and to the district officials to close the work. In a press conference on Tuesday, the Convenor said that we are not opposing the construction of the Community Hall. We want the Community Hall to be constructed somewhere else and the proposed health center be made at the said place. In this regard, a letter has been given to the Minister.